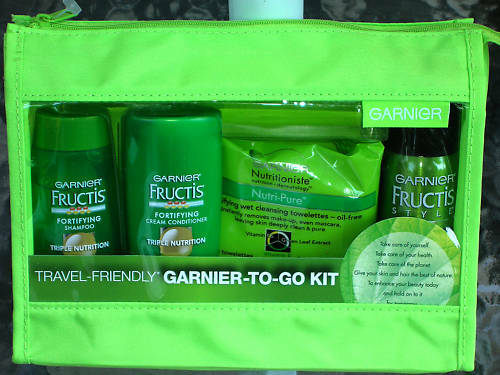 Garnier Fructis Fortifying Triple Action Shampoo And Conditioner Review and Travel Kit Giveaway!! I have used several Garnier products, but recently tried their Fortifying Triple Action Shampoo and Conditioner. I have thin, frizzy, and unmanagable hair. I tend to be a bit picky when it comes to hair products due to my thin hair. Winter brings on dryness and those dreaded fly-aways where my hair goes every direction. I saw the info on Garniers website but did not really think strongly enough to change products. One day while I was doing my shopping in Walmart, I saw The Garnier To Go Kit with travel size Triple Action Fortifying Shampoo, Conditioner, Garnier Nutritioniste ( big fan of this) Nutri-Pure Cleansing Towelettes, and Garnier Fructis Style Full Control Hairspray. Reasonable price so I snapped up a couple of them. When I used it the first thing I noticed was the smell. Pretty fresh scent. The shampoo lathered well and left my hair with a nice clean feel. The conditioner is very thick and creamy. Please note… it does not take a lot to achieve saturation. After blow drying, my hair felt and looked fuller. I did not have any coated feeling, just a smooth, managable look. As the day went on, I found my frizzy fly-aways were non existant. Overall I was pleased with first use of this product. After several uses I noticed my hair maintained this fuller, healthier look. Garnier Fructis Fortifying Triple Action contains 3 Natural Oils. Olive, Avacado, and Shea oil blend gives an infusion of silkiness to dry, damaged hair that seems to penetrate every strand. Visit Garnier Website and see which product you like best for your hair type. Come back here and let me know by leaving a comment. Subscribe to espacularaiesa on the right side of this page. Leave me a comment letting me know. 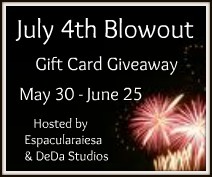 Gain an extra entry by liking espaculareaiesa on Facebook (come back and leave a comment letting me know). That gives you three chances to get the Kit. Giveaway end date will be January 10, 2011. Winner will be randomly chosen by their post. I need to contact you if you are the winner so You need to leave you email address with your comment. Hint: spell at instead of @ sign. This will throw off spammers. Ok! So I am here and setting up my new blog! 27 Dec 2010 Comments Off on Ok! So I am here and setting up my new blog! Well I have joined the rank of bloggers and hope to share some neat new ideas and products along with reviews of places and things I have tried! So hang tight and I will get this a going!